New York Harbor School Science! 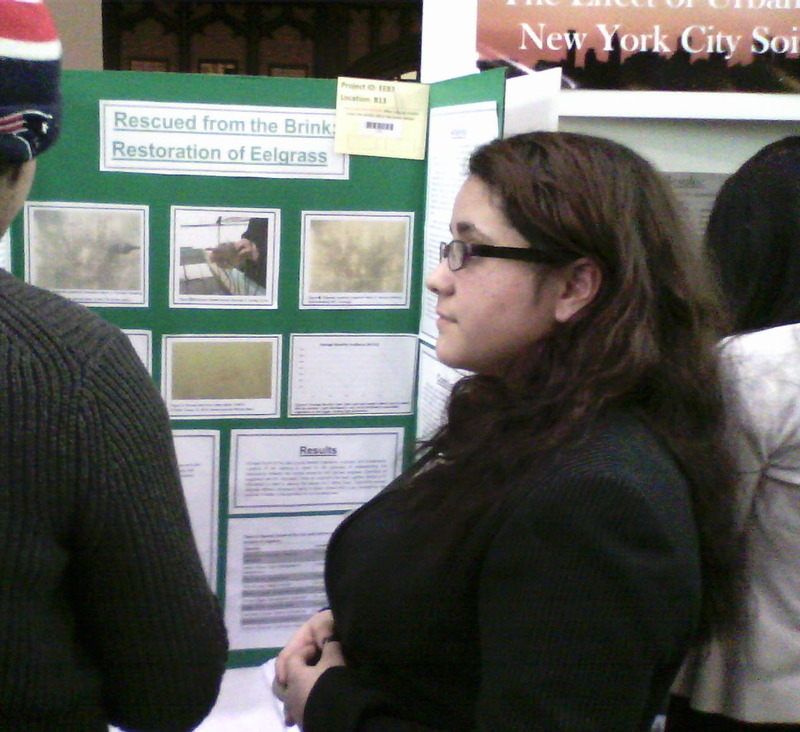 Nicolle presenting at the New York City Science and Engineering Fair this past Sunday, March 1st. On Sunday March 1st, Nicolle Martinez and Tahirah Abdo, 12th grade Marine Biology Research scholars, competed in the premiere Regional Science Symposium – The New York City Science and Engineering Fair. After 2 years of determination, set backs, and perseverance, these two students represented the Harbor School among more than 450 of New York City’s budding scientists and engineers. Among the high schools in attendance were Bronx Science, Stuyvesant, Brooklyn Tech., Townsend Harris, and other top STEM schools from around the City. Although only two students represented Harbor this year, most of the Marine Biology Research students complete a research project. Writing a college level research paper and presenting in front of an audience are prerequisites to obtain the program’s credential. 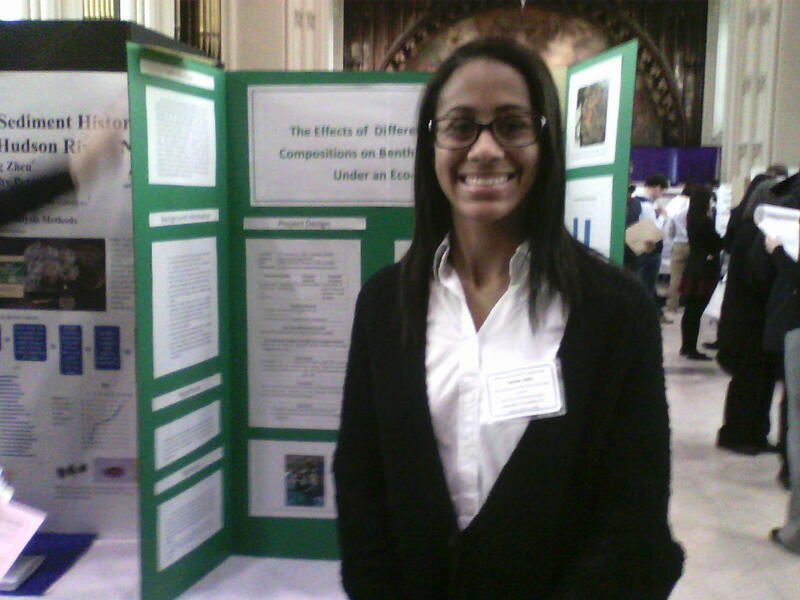 If you’d like to view Nicolle and Tahirah’s research papers, please click here. Next year we have contenders in topics such as: oyster genetics, sea squirt genetics, mycelium fungus buoys, and many, many more. A big thank you to all our Harbor staff, Professional Advisory Committee members, friends, and family for all your support. And congratulations MBRP! For your calendars: On May 13th the New York Harbor School will be hosting it’s 4th annual Science Symposium!